Cub Scout Pack 7 in Natick, MA is chartered by St. Linus Church in Natick. 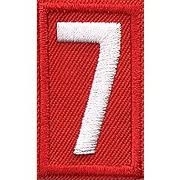 Pack 7 was established March 1, 1947! Cub Scouts is open to any boy or girl in grades K-5 of the current school year (2017-18). If you would like to join Pack 7 (students who are in the Brown Elementary School district, Johnson School district, or Kennedy School district of Natick) or would like more information, please email us at natickpack7@gmail.com. Pack meetings are held at Brown School generally on the 2nd Wednesday of the month from 7-8 PM (check the calendar). If you attend another elementary school in Natick or are in the district of another school, please see the links below to other Packs.